Are you on a fertility journey? Maybe you don’t know where to start or are feeling overwhelmed by all the info out there? Perhaps you have been on the road for a while and are ready for a fresh pair of eyes and some supportive company? Now you can work one to one with me, Jess Rose and develop a bespoke, personalized and intention conscious conception plan. I have a background in Naturopathic Nutrition, Shiatsu with a focus on women’s health, Reiki and vibrational medicine. One-to One Session that plans your Sacred Fertility Journal Step by Step. Sign up here! Introductory Offer: 1 hour face to face or Skype/video sessions for $108.00 and special Sacred Fertility care package mailed to your home (additional postage required outside of USA) . And a reiki for fertility session either in person or distance and guided spirit journey to support your fertility. * Practical Tools for empathy and understanding. Facing those fears and embracing forgiveness. * Explore your soul plan and what you came here to do in this lifetime. 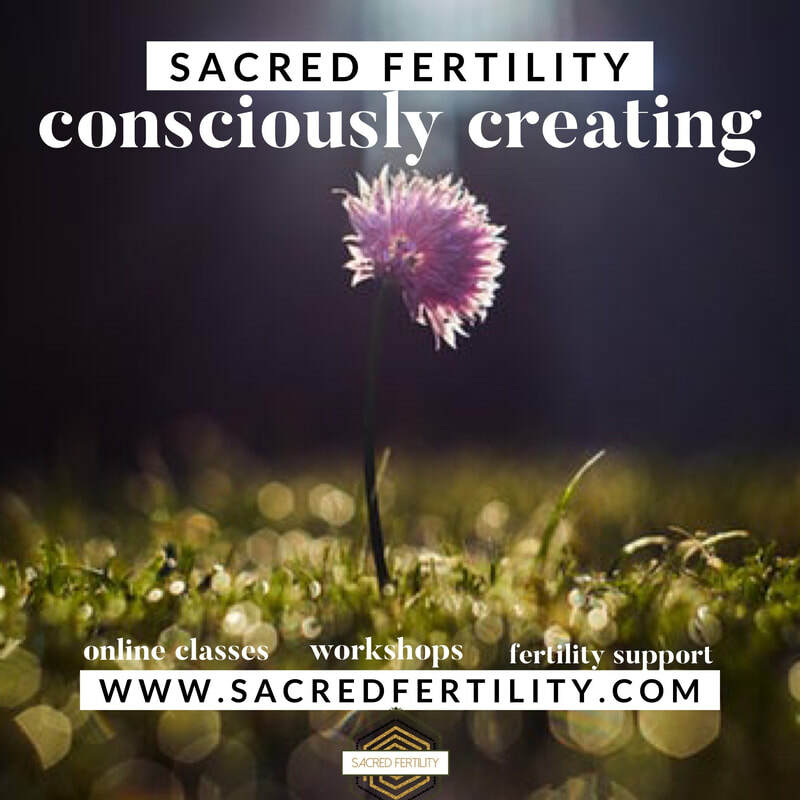 * Create sacred space for your fertility practice. What is the fertility journey? While all the focus seems to be on physically making a baby, fertility is so much more. Fertility is comprised of all parts of our experience: the body yes, but also our emotional, metal and spiritual landscapes have vital parts to play too. And taking a step back, seeing the person as a whole and examining ways to nurture the inner world as much as the outer world creates a strong foundation for fertility to flourish in boundless ways. ​In this 1 day workshop we look at how to nurture fertility on all levels from how to feed and work with your physical body, to freeing hard to process emotions, cultivating intimacy, and practical tools to face challenging times. We also work with the idea of conscious conception for any fertility path. ​Upcoming Dates for 2019 TBA: Register Your Interest Here! Are you looking to expand your skills to support families on the fertility journey? Are you on the fertility journey yourself and looking deepen your practical and spiritual skill base? Sacred Fertility may be calling to you! Read through and let me know if you have any further questions. Sacred Fertility aims to change the conversation around fertility. What is the fertility journey? While all the focus seems to be on physically making a baby, fertility is so much more. Fertility is comprised of all parts of our experience: the body yes, but also our emotional, metal and spiritual landscapes have vital parts to play too. And taking a step back, seeing the person as a whole and examining ways to nurture the inner world as much as the outer world creates a strong foundation for fertility to flourish in boundless ways. The online class is an 8 part program designed to give you the skills you need as a Sacred Fertility Doula to support those on the fertility path. Or to give you as a fertile being a deep grounding and knowing of your own fertility. Each module of the 8 part program is a profound look at the many facets of fertility. It is online and in the sanctuary of your own home and can be completed in your own time. I hold space for you in our private FB group open only to those enrolled in the class. There are live office hours within the FB group and the option of a face to face skype session with us if you need support. You can enroll in all 8 parts for a special price of $300, or take each module for $40 pay as you go. Program begins February 16th 2018 when it is delivered right to your inbox. You have lifetime access to the classes including any future updates. Special OFFER: Sign up for the whole class and receive Conscious Conception online for FREE! Once work for all 8 modules is completed you receive Sacred Fertility Doula Certification.